This adjustable shank is designed for the Equal-i-zer series hitches. 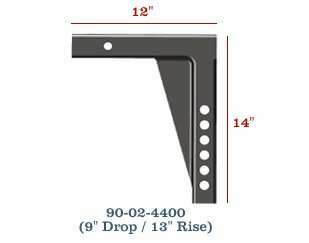 Offers up to 9" drop or 13" rise. 12" long from end to end. Compatible with all 90-00-xxxx series equalizer hitches.